Am I able to arrange a meeting to meet you in person and discuss my wedding? Of course! I actually prefer to meet you prior to the wedding day and sit down over coffee and chat about all of your wedding day hopes and dreams. This is the main reason why I have complimentary pre-wedding consultations included in all of my collections, that way we can meet in person to go over all of or details. (This is depending on your location because as much as I love to travel, I cannot do consultations more than 25 miles in one direction to meet you, for these I always offer a phone and/or Facetime consultation). Contact me at: alex@amarievela.com to arrange a meeting. What if we are busy and cannot meet you in person? I completely understand that some people have extremely busy schedules and can have a scheduling conflict that makes it to where they are not be able to meet me in person, so I do offer Facetime and phone consultations to discuss wedding details. I try to make my wedding guides as user friendly as possible to help aid you in planning when I am not able to, but I am always a phone call or email away for any questions you have. I completely understand that not every couple getting married in my area is actually currently in my area, and this makes it hard to meet with me and talk details before hand in person. Having your relatives, or friends, meet me and discuss your wedding is fine, however, unless they are directly involved in the complete planning of your wedding and know all the details in well, detail, along with your preferences and specific idea of what you want for your wedding photography, this might not be enough fro us to see if I am the right fit for your big day. The pre-wedding consultation we do is as very important for you to see if we mesh well as it is for me. It is the opportunity for me to discuss my style, you to talk about your expectations, for you to explain how you envision your wedding to be captured, and for me to show your examples of my work if you haven’t already looked through my portfolio online or answer any of your questions. If you are not available to meet in person, I offer phone and FaceTime consults as well. How do I book your services for my wedding date? In order fro me to put any wedding on the books, I first have us discuss your wedding day details at our pre-wedding consultation. This makes it so that we are both on the same page for what you want in regards to your wedding and along with understanding the services that I offer. When we are both on the same page, I then would provide a wedding photography contract, which outlines the terms and lists of the services you are going to receive by booking a date with me. This then must be signed and returned to me before I even accept a booking retainer. After the wedding contract is signed and returned, I require 50% of the total fee as a non-refundable retainer to book my services for your big day. This means that I will turn away any other inquires for that day and the surrounding days for travel if required. With having both the signed wedding photography contract and the 50% retainer completed and processed, I will then put your wedding date on my books and send you an online confirmation with copies of everything for your records. Is my 50% retainer refundable if we decide to cancel our wedding or not use your services? No, it is not. I require a retainer in order to reserve your wedding day on our calendar, and with booking your day on my calendar, I will not book any other clients on that same day, or the days surrounding your wedding if travel is required. When you cancel your wedding, I am left with an opening date in our calendar and have lost the opportunity to book another client for the same date, simply by reserving the date for you and turning away any offers I had for that date after your booking. Since there are a limited number of days that I can offer my services throughout the year, I have retainers implemented and used simply to cover any and all lost opportunities resulting from a cancellation. I completely understand that in some cases the wedding date needs to be postponed for whatever reasons. I always trying to accommodate any of these changes the best that I can and work them out in my schedule if possible. With venue changes, they normally do not interfere with our services unless there is a long distance between venues, which would then cut into your coverage time. Date changes, however are more difficult, since many clients book their weddings and reserve their dates in advance (in many cases up to 1-2 years ahead of time), I might not be available on the rescheduled date. I will make best effort and work to make the arrangements to have coverage on your wedding day, but your retainer is not refundable in this case. Yes, I do charge travel fees for weddings outside of my usual service range (45 mile radius outside of 34669). Please be assured, travel fees are in no way intended to profit from our clients. The primary reason I add a travel fee to each wedding outside of my typical service area is to provide adequate compensation for the time spent in commuting to and from your wedding locations. Time spent in travel is time both that both I and my secondary photographer are occupied with for your wedding and the travel costs are a way to compensate them. For this reason, along with the costs of reimbursing the actual costs of travel (gasoline, car amortization, highway and toll fees, etc) , these fees are unfortunately necessary to have. I have a general overview of tips for your big day and how much time I recommend allotting over on my Wedding Guide. The time depends though on how long your wedding day is planned to be, whether or not you want to have every stage of you wedding day photographed, the amount of time you are thinking of booking me for, etc. The guide I created gives you a good understanding on what each part of your big day entails and how long it usually takes fro me to capture a good variety during that section. If you are still unsure, don't worry, I can help you plan. I just ask that you please, have your wedding day schedule as completed as you can at your final wedding consultation appointment and then we can discuss this in details and rearrange as needed. Whatever you decide to do though, it is always good to have some extra buffer time padded into your schedule to avoid rushing from location to location or running the risk of cutting things out. I want you to feel relaxed and enjoy your big day and trust me, your images look much better if you are not under constant pressure of time constraints to cram in the photography parts that you want. Can you photograph pass the contracted time we had planned? I know I just mentioned keeping a buffer in your schedule to avoid running behind, but I understand that wedding are unpredictable and things happen. You can always count on me to be aware of how time is running and if I feel we will miss things based on the current day's schedule, so I do offer additional hours to be purchased the day of your wedding if you want them. I usually ask you if you would like to request an extension of time in the last hour of my contracted time to be at your wedding, but only if I feel like you would need it. You are more than welcome to ask for an extension on your own if you want to anytime in the day and our contract we have together has specified the rate for any extended hours. We will charge the rate specified in your wedding photography contract for all the additional time requested the day of your wedding when you request it and I will process a credit card for you before any additional time begins. I understand that by selecting a specific wedding package contracting my company to provide service for a certain duration of your wedding day. I know things happen and sometimes schedules get behind, but we allocated time to travel to your wedding location, perform the services, and travel back away from your location according to the contracted time on our schedule. This makes it to where there are additional costs of having someone stay and continue to photograph your wedding for any additional time. I always say that we are no different than any other service professionals who you contracted for your wedding day that priced their services on hourly basis, except we are probably more involved in your wedding planning. All of my collections and hourly rates are for continuous time only. There are usually time intervals between your wedding ceremony and the reception, during which you might feel you don’t need coverage or that there is nothing for us to photograph. However, I always use this time to focus on portraits of you and your groom and finish bridal party group shots. I try to take as many family images before the ceremony as we can, but we typically have to do a couple sets in this time as well, especially if you do not do a first look. On top of portraits I also use this time to take detailed images of your reception venue and get my lighting set up for your first dance photos if flash is needed. I would like to have a second photographer for my wedding. Do you offer that? Of course I do! I actually recommend booking a second with me. 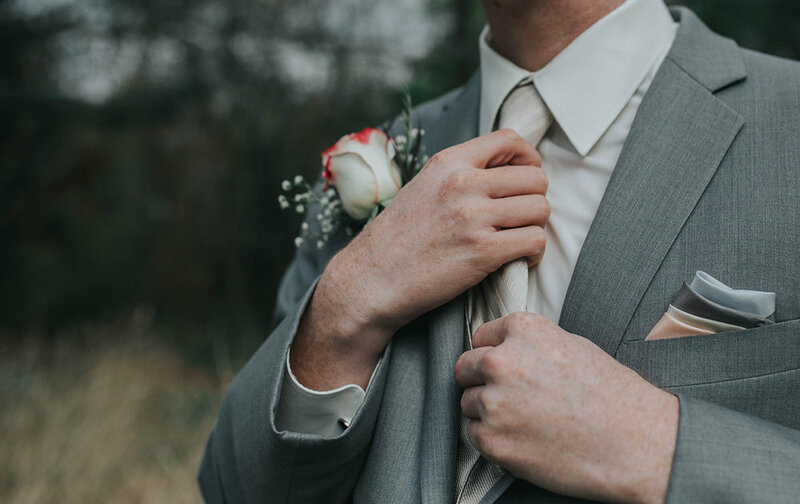 There is an additional fee for adding one to your collection (if it isn’t included already in it) but they are wonderful for when you have your bride and groom getting ready at different locations that are not within minutes of each other. Can I provide my own second photographer if I have one that I want to use? No, I hand pick the second shooters and contract them for all of my weddings, and all photographers that I partner with have many years of wedding photography experience and we have worked together before. Since I have worked with them in the past, I can ensure that they match the style and image quality that I offer, making your final images a complete uniform set. If there is someone that you specifically want to help out, I do not mind looking into them to see if they would be a good fit to help cover your wedding day though. Depending on their experience and quality, I will then see what would be best in how we should proceed with your second photographer. But my ultimate priority is simply making sure to have have the best coverage and images for you to look back on of your big day. When do you typically arrive at the wedding and what can we expect on our wedding day? I usually arrive about 15 minutes minutes before the contracted time with me to start coverage on your wedding day. Usually, my coverage time starts at least 2 ½ hours before the start of the ceremony, during which I can take images of the bride and groom getting ready, a first look, family and wedding party portraits, and all of the details like the wedding dress, shoes, bouquet, floral arrangements, veil, cake, invitations, rings, etc. The first look is when the groom sees the bride in her dress alone for the very first time before the wedding ceremony even begins. This is a very private and intimate moment, where the groom waits with his back turned for his future wife to walk up and surprise him. That moment when the groom turns around and sees her for the first time is breathtaking and it eases so much pressure from the two of them. The romance of that moment is absolute perfection, and it is something that they have experienced together and privately. I have photographed grooms crying from joy, hugging and kissing the bride along with intimate gazes and caresses. It is a moment that each couple has for themselves without the stress of the wedding ceremony and in front of all family and relatives, and usually results in more authentic reactions because you do not have a crowd watching you. I’ve always imagined my fiance seeing me for the first time as I walk down the aisle. I’m still not sure I see the point of a first look. Any advice? That’s totally fine, I understand it I honestly do. I know that I personally plan to have one because I want that intimate moment captured between the two of us, that and I know how my future husband will react with a crowd surrounding us for when I walk down the aisle. I have seen couples do both and the groom is still super emotional when his bride walks down the aisle even after already doing a first look. I know many photographers push the idea, but please remember that when it all comes down to it, it is completely your decision. If you have always pictured the moment he first sees you is as you’re walking down the aisle, no problem at all! Let’s do it that way. Our outdoor ceremony is planned for being as the sun is setting, but I am not interested in a first look. Is that going to be a problem? It sure will be!! Without doing a first look, we still need at least 30 minutes for family photos, another 30 minutes for bridal party portraits and lastly at least 45 minutes for private bride and groom portraits before the sun sets and we completely lose our light. With that being your schedule, I definitely recommend either doing a first look before your ceremony, or bumping up your ceremony time to at least 3 hours before sunset so we can make sure to fit all your photos in after the ceremony. Are you available for destination weddings and elopements and what are the prices? Of course! I love traveling! Even though I am located in the northern Tampa area, I offer my services to clients all around the world. for destination prices, they are simply my standard wedding collection prices plus the cost of travel, reasonable accommodations, and meals. Feel free to email me at alex@amarievela.com about your destination wedding details, and I will provide an exact quote for your wedding. Speaking of eloping and destination weddings, do you have location suggestions? Yes, I actually have a bucket list of suggestions if I am honest. Just send me a message with what kind of area and vibe you were thinking and we can chat about spots that reflect what you want! 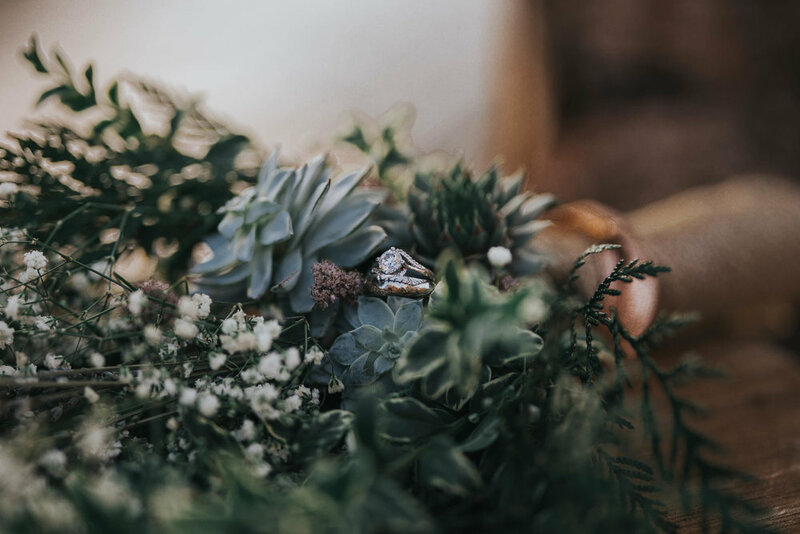 Some of my favorite places for elopements are the Oregon and Washington forest and waterfalls, the mountains on both the east and west side of the states, the ocean, I could go on and on... But I would love to chat with you to plan something that works with your vibe and is beyond beautiful! I do provide different wedding collections with different time coverages because I understand that not all weddings the same. Because of this, I do also provide the flexibility for you to book an hourly rate if one of those does not fit your needs. Yes, and this is a question you should ask any and all photographers that you work with, regardless of if it is for your wedding or not! Insurance is so important! My business is insured for any property damages that might occur from my services while I am at the wedding venue. I do use professional lights, light stands and equipment, which is also why my business is insured in case any damages happen to these as well as the venue. I do! I actually adore seeing my work printed out, whether it is for clients or for my personal images. I feel it is so important to have your family’s images printed out because technology always is changing. I have disks of images that I can no longer use because my computer doesn’t even have a disk drive anymore, but yet the photo boxes and albums I have from when I was younger are still going strong and have no intention of quitting yet. I offer a complete assortment of prints, wall art, and albums to fit your needs for your life and your home. What is the difference between the prints you provide and the ones I can get printed at stores and kiosks like Walmart, Target, and Walgreens? I know that the stores that offer photo printing services seem to be quicker and less expensive than the prices for the prints we offer. I mean, who doesn’t love 1 hour photo. I will be honest I have used it before when I was in a bind and I was quite appalled at the difference. They were green! I mean these were just basic black and white photos and they were green! Kiosk and retail store printing services use non-archival ink and paper for their prints, which means that these prints will not keep the same colors and image quality over time. They will fade and become discolored quite fast compared to prints produced at my lab. Tis is because the labs I work with do printing with archival ink and photo paper. This makes it to where the prints keep the color and quality for years to come. All kiosk and retail store printing do not calibrate their printers to the kiosks and the monitors. This means that the colors you see on your computer screen when you are viewing your images might not be correctly represented on your final prints. The colors in your prints might look dull, the prints might be too bright or too dark, and the prints might not look as sharp as what you see on your computer. This also explains why I said my prints were green above. But, luckily, I am able to work closely with my labs and have calibrated my computers to their printing, so I can guarantee the best colors and quality when printed through me. If I order one, what is the time to produce and for me to receive my wedding album? The creation of your album starts with you making a selection of images to be included into your album from your final wedding images. I quote 8-12 weeks for wedding galleries to be finished, but I try to deliver them as soon as I can for you. As soon as you make your selections, I will start the design of the album, which is putting all the images in a certain order so they can tell the complete story of your wedding day. The images are arranged and cropped to fit in the album pages and specific layouts that flow well together to create a cohesive look. Once the album is designed and printed, I will either meet with you to deliver it or mail it if you are not local to me. I always recommend a quick response time for picking images for the album design to help to shorten the album creation time. It takes about 4-6 weeks to deliver the album after I receive your selections. If you are having a hard time selecting and are not picky with what goes in your album and trust me to pick and design it myself, I have no problem with that either as I always have favorites from every wedding I photograph. Do you digitally enhance all of the images we are going to receive? Yes, which is why I quote what I do for delivery. I go through every single image from your day and hand edit each one I put in your gallery. Like a diamond, which only shines to their best beauty when they are polished and not raw, I personally enhance every single image you will receive as part of your wedding collection. I do this to make sure that each one meets my standard of quality and is cohesive with the rest of the set. Cropping: This is done to achieve the best composition and to bring the main subject to viewer’s attention if it is needed. I also will do my own artistic cropping to tell the story of your wedding day better as well. Exposure: I shoot a certain way specifically for how I post process the images, this usually includes time playing with my highlights and shadows afterwards. Color: This is done to make the colors on your day appear as close to the way they are in real life the best I can. Like I said before, they can be thrown off by the time of day or even artificial lighting. Sharpening: This is done to make the focal point of the picture crisp and to bring out those beautiful details. Think of the ring shots! Converting images into Black and White is something I also do during my post processing, this is because it adds an artistic and sometimes I simply cannot choose a favorite. Additional retouching such as teeth whitening, thinning, and extreme blemish removal and skin smoothing are all part of my custom retouching that I can do for each photo at a per photo rate. I take as many images as I think are needed to capture the events and tell the story with the emotions and love during each wedding day. Because each wedding is unique to its own, I do not set a limit for the images I provide as a wedding simply cannot be measured by the number of images it produces. I believe that with the experience I have had over the years, I know which image to make sure I capture, which moments I should capture that you normally don’t think about, and when the event worth capturing is going to unravel. I capture as many moments and emotions as possible on your big day and compile them to tell a complete story. No, and I have a very simple reason for it. I do not deliver anything that is not up to my standards. Because of this, I remove all duplicate and test images, out of focus images, images with bad expressions as closed eyes or weird looks, and all other images that I feel do not tell the true story of your wedding. Having all the images is honestly very overwhelming, and I say this from personal experience. Imagine having to scroll through thousands of images for countless hours, zoom into each image just to select the one with the sharpest focus for you to post and print. Then you have to remember what that image was when you go to upload it to print or share with your family. It is time consuming, and if you are like me you instantly forget which one it was and have to start the process all over again, which is frustrating. That is why you are paying for my service, so that I can spend the hours doing that for you on my end. Can I receive the RAW files from my wedding day? I do not release my RAW files, as they are unprocessed and do not always match the quality and style of the processed images we deliver to you as a final product. Its like asking for a painting that is only half finished. However, if you absolutely sure you would like to have the RAW images from your wedding, I can provide them to you for an additional fee of $5,000. No, I reserve the copyright to all images I deliver to my clients. You as a paying client though have the rights to print and share the digital images you receive as part of your wedding collection whenever you want, and how many times you want. However, you may not sell your images to anyone or publish your images in any printed publications without the written consent from me. By the International Copyright Law, the copyrights an images belong solely to the person who took the image, and unless these copyrights are transferred with documentation, they remain with the original author of the image. Yes, I provide to all of my clients an online gallery with their images. Each clients receives a link to their private gallery to access it. This link is able to be shared with friends and family on social media and it is an easy and super convenient way for everyone to see their images without having to send emails to all of your relatives. I also use this gallery as a way for you to select the images you want to be included in your album and it is also a way for you to order prints and wall art for your home or for gifts.